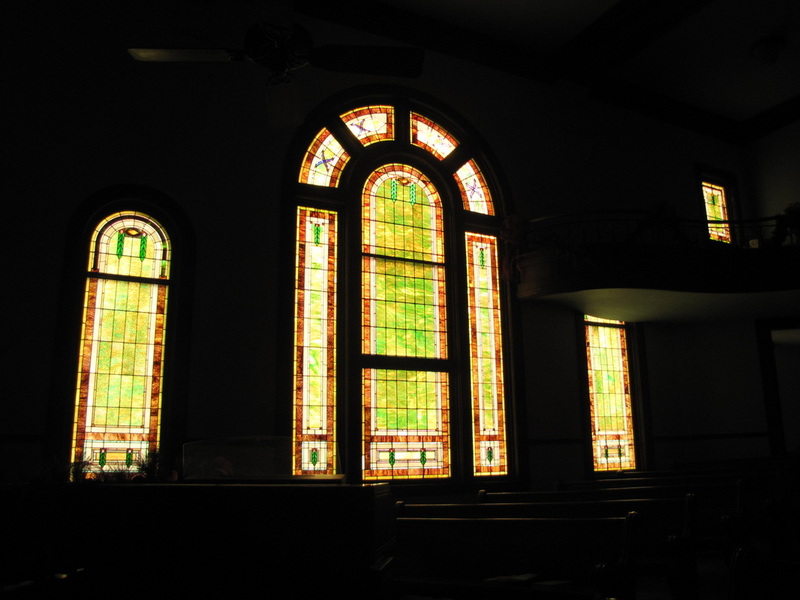 All of the 40+ windows in this church building are stained glass, including the ones in the basement. In the early days of electricity, this insured that the building's interior was always well lit. 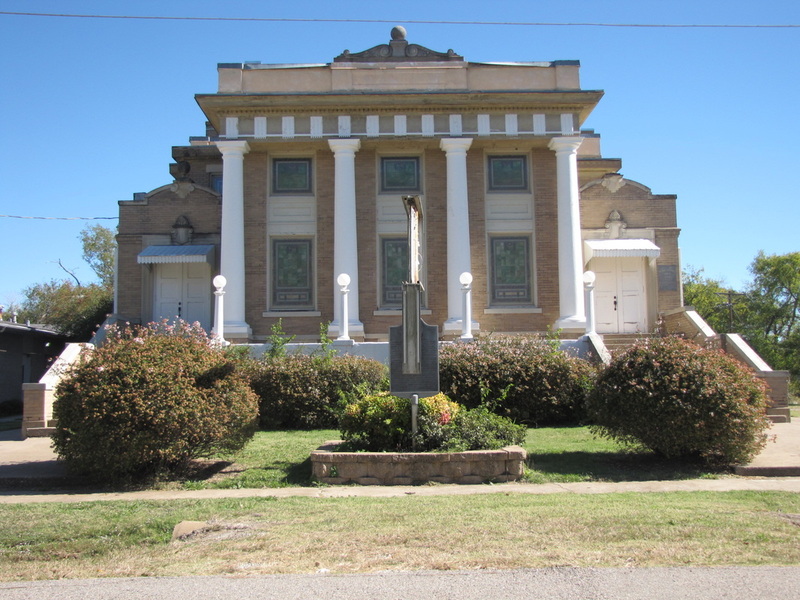 Based on the architecture of this building, the architects were probably C. W. Bulger and Sons of Dallas. He was noted for building over 100 Baptist churches in Texas from about 1900-1922. He was also the architect for Westminster College in Collin County.